One of my very favorite food combinations is chocolate and peanut butter. I love it so much but wanted something more that just my favorite candy to enjoy. Cupcakes are always welcomed by friends and family, so these were the perfect answer to a quick dessert, and also satisfied my chocolate and peanut butter craving. 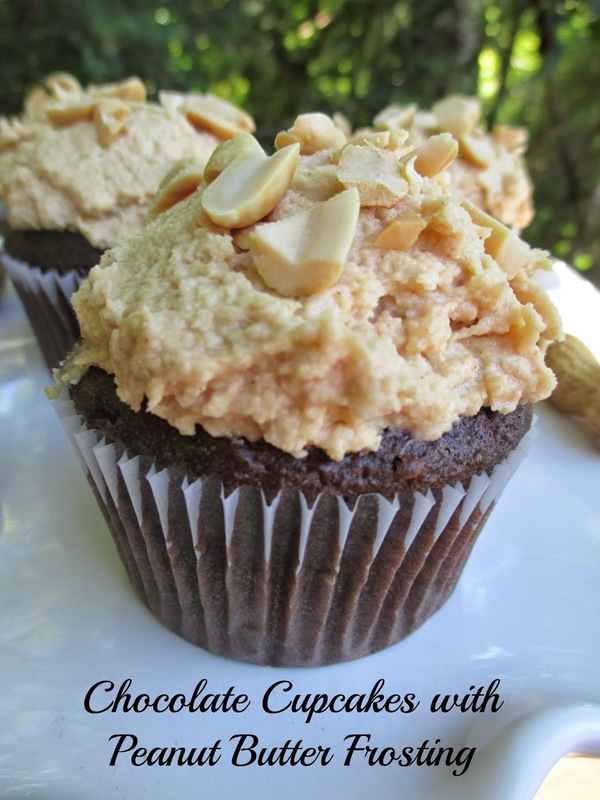 The peanut butter frosting on these cupcakes is made with cream cheese, a frosting that I enjoy making and my family really loves. The chocolate cupcakes is an easy recipe, and I always think homemade tastes so much better than boxed mix. And if you keep the baking essentials well stocked in your pantry, you can be ready to bake so many yummy treats as a moments notice. I made these cupcakes just for fun to have for dessert. My family loved them, and this recipe is definitely a keeper. Add the flour mixture alternately with the milk. Beat well. Fill the cupcake liners 3/4 full. Bake in preheated oven 16-18 minutes, or until a toothpick inserted comes out clean. Cool completely before frosting. With an electric mixer on low speed, beat cream cheese, peanut butter, and confectioners' sugar in a bowl until smooth, about 2 minutes. With a small spatula, frost cupcakes and sprinkle with peanuts.